After suffering a loss covered by your home insurance policy, you may make some assumptions about what is owed to you. But did you know your home insurance policy may entitle to you to one of two different insurance benefits? Depending on the type of policy you have, you may receive either actual cash value (ACV) reimbursement or recoverable cash value (also known as replacement costs) benefits. Understanding the differences between these two, and recognizing what sort of policy you have, is going to be fundamental to understanding your situation should you have to make a home insurance claim. It’s also important to realize that the goal of your insurance company is to pay out the lowest amount legally possible—if you allow them to. Most insurance companies will offer greatly depreciated values on your property and insured items. If you feel like your insurance company is not acting in your best interest, and are purposely making the claims process challenging, you may be the victim of bad faith insurance tactics. The bad faith insurance attorneys of Millin & Millin have the understanding and experience to effectively advocate for clients who have become involved in a legal situation with their insurer. We also want to ensure that individuals have a general understanding of important insurance concepts so that they can better defend themselves from the unlawful actions of the insurance industry. ACV refers to the value of your property, generally set as the fair market value, as well as any depreciation, changes in property value, and upgrades you may have made to improve the value of your property. Receiving ACV can help to cover some of the damages to your house, but because an ACV insurance policy takes into account depreciation, you will not be reimbursed the total actual costs of rebuilding. Depreciation is a deduction based on the age of the property, and the useful life of the home, which is an estimate of the number of years an asset is likely to remain in service for the purpose of cost-effective revenue generation. What this means for you is that with an ACV policy, you will need to pay for some of the rebuilding expenses out of your own pocket, or you will need to buy a new home. What is recoverable cash value (RCV)? RCV, also known as replacement costs, means your home insurance policy will pay out the cost to rebuild your home after a total loss, rather than just a portion like ACV. Replacement costs will usually exceed actual cash value, but will never exceed those on your policy’s limits. What’s the difference between ACV and RCV? The difference is whether or not depreciation is covered in the policy. When your property suffers damage, your insurance company must pay you an indemnity, which is the payment for the loss to the insured to make the property complete again. An indemnity payment is only required to recover the insured’s loss—it should give the individual a profit. With an RCV policy, in order to recover the total loss and depreciation, your insurance company will request that you provide them with additional information in order to prove the total costs. Unfortunately, many individuals with an RCV policy will make the assumption that the insurance company will pay them for the entire loss up front. Remember, however, that additional information—such as receipts, invoices, and inspections—will be needed before the insurer will pay the recoverable depreciation costs. If you aren’t sure what type of home insurance policy you have or what reimbursement type is applicable to your situation, the read over your policy once again. You can also reach out to your insurance company or agent for additional guidance. Which insurance policy is best for me? When shopping for home insurance policies, it’s vital to understand your own needs and expectations. Be aware that ACV insurance policies are going to be cheaper than RCV insurance policies. The downside of course, is that ACV policies will not recover depreciation costs, which can account for a hefty amount of a home’s value. Do you want lower premiums and risk a lower payout? Are you able to afford more for a potentially large payout? Speak with your insurance agent, and do a bit of research, to decide which type of home insurance policy is best for you. What can I do if my insurance company is greatly depreciating my property? One of the first steps you can take to fight against an insurance agency is to hire a public adjuster to do their own inspection and investigation. This can help to lower depreciation and raise your ACV. Hopefully a public adjuster can get you the amount you are legally entitled too. If your insurance still will not budge, are taking excessively long to provide you a reimbursement, are asking for an unreasonable amount of paperwork, or are simply avoiding your questions and requests, then you may be the victim of bad faith insurance. Every insurance company owes it to their policyholders to act in good faith. When an insured individual has been involved in a circumstance that directly affects his or her way of life, and is rightfully covered by their policy, it is the duty of the insurer to act in a manner that helps to diminish unexpected financial burdens. 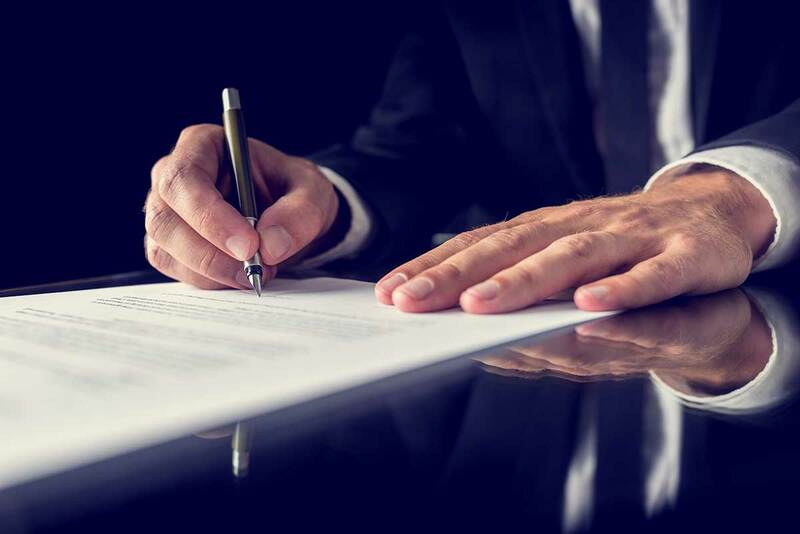 If you find that your claim was rejected even after attempting to come to an honest agreement, then do not hesitate to contact the attorneys at Millin & Millin. Our litigators have advocated for McAllen metro residents who have had to deal with bad faith insurance tactics. Our attorneys possess superior experience and the necessary knowledge to bring forth an exceptional case.